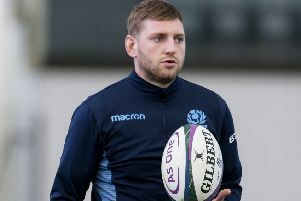 Ali Price admits victory at Twickenham for the first time in 36 years may not be enough to salvage Scotland’s miserable Guinness Six Nations campaign. But the Glasgow scrum-half reckons an unlikely victory for the Dark Blues against Eddie Jones men in London on Saturday would be the perfect pick-me-up as his side look to bounce back ahead of this year’s World Cup. defeats by Ireland and France killed off any hopes of them making a charge for the crown. It is now three defeats on the spin and Price was left to confess that even beating the Auld Enemy in London for the first time since 1983 would not be enough to mask the disappointment of this year’s let-down. He said: “I don’t know if a win down there would make this campaign satisfactory. “Obviously, we’re disappointed with how we’ve done. We wanted to come in and compete to win and we’ve failed on that front.